Experience a magical run through Disneyland® Paris and straight into a dream come true! With a Half Marathon, 10K, 5K and Kids Races the whole family can get involved plus enjoy the thrilling attractions and spectacular shows of the Disney® Parks. 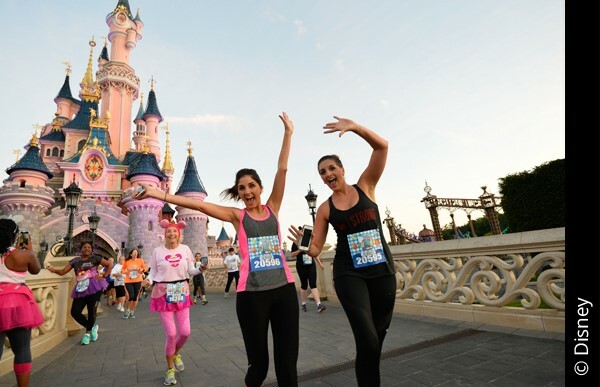 For every runner who has ever "wished upon a star" for that perfect course, Disneyland® Paris makes your wish come true with the Disneyland® Paris Run Weekend. It's a storybook run straight out of a fairy tale through two spectacular Disney® Parks. And that's just the start of the excitement. With special events, races for all the family and Disney Characters to cheer you along the course, this unforgettable weekend will leave you with memories to last a lifetime. So warm up, on your marks, get set and go for miles of smiles on a magical run through Disneyland® Paris. A non-refundable deposit of £99.00 per person is required to secure your booking. Final balance is due by Friday 24th May 2019. We offer rooms at onsite Disney Hotels with a variety of optional extras available to add even more magic to your stay. Please find the package prices below, all prices are per person and are in £GBP. Infants aged 0-2 years are free of charge. Please do not include infants aged 0-2 years in the list of guests when making your booking. Once you have made your booking, please email us on runtothemagic@greatdays.co.uk with the name and date of birth of the infant and we will add this to the booking for you. If the infant will be participating in the Kids Race then please select this at the time of booking and we willl then allocate this race to the infant on the runDisney race registration platform. Please note that there is no free shuttle bus offered between Disney's Davy Crockett Ranch and the Disney® Parks therefore your own transportation is required. No race entries are included in the above package prices. A minimum of 1 race entry per booking must be added. All participants who are taking part in the Disneyland Paris Half Marathon must upload a scanned or photographed copy of a medical certificate that is signed and stamped by their doctor. Participants who fail to do this will not be allowed to take part in the event and no refunds will be given for non-compliance. This only applies to the Disneyland Paris Half Marathon and not to the Disneyland Paris 10K, 5K or runDisney Kids Races. Please note that there is a pace requirement of 16 minutes per mile for all races. Travel to Disneyland® Paris and check in to your onsite Disney Hotel. Visit the runDisney Health & Wellness Expo in the Disney Events Arena to pick up your race bibs and t-shirts. The Run Weekend kicks off with the Disneyland® Paris 5K taking place at 8pm. Rise and shine for the Disneyland® Paris 10K at 7am and then explore the magic of the Disney® Parks! 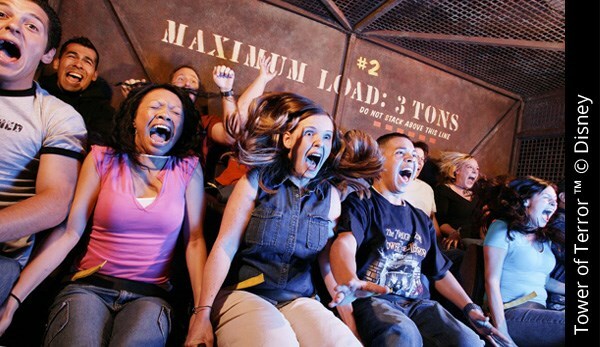 Experience big thrills on Star Wars Hyperspace Mountain and The Twilight Zone Tower of Terror or enjoy some family fun on Buzz Lightyear Laser Blast and Slinkydog Zigzag Spin. As night falls in the Disneyland® Park, be sure not to miss the spectacular Disney Illuminations with dazzling lights, projections and breath-taking special effects conducted by Mickey Mouse onto Sleeping Beauty Castle. Today it is another early start for the Disneyland® Paris Half Marathon at 7am. 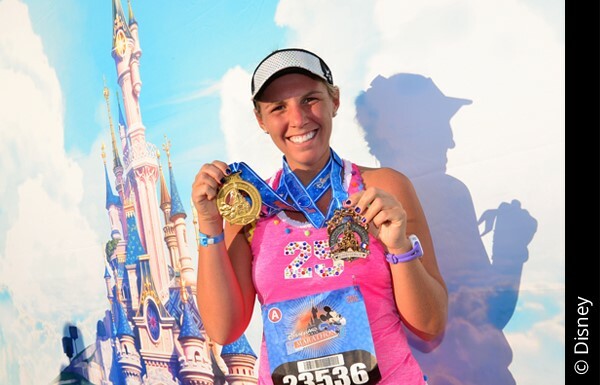 Afterwards wear your finishers medal with pride as you enjoy more time in the Disney® Parks. 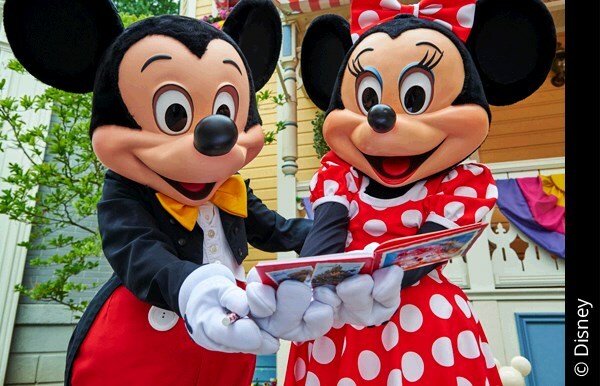 Make sure you have been on all your favourite rides and met your favourite Disney Characters. Say 'Au Revoir' to Disneyland® Paris and head home with magical memories that will last a lifetime!